Tell me about the collection you showed at IFWTO. The collection is called, 'Kahi,' which means fruit. 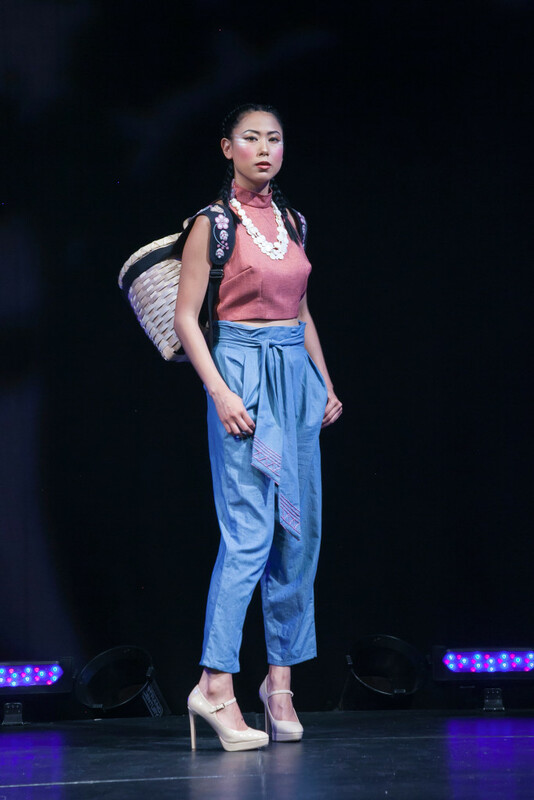 We wanted the name to compliment the fashion show theme entitled, 'Berry Moon'. It’s also representative of all that fruit provides for us, including nourishment and especially growth, which is where we’re headed with this collection. 'Kahi' is our new line of wearable art. We’ve integrated our most popular design elements, raised beadwork florals and contemporary designs into quality fabrics. One of the garments that we chose to create our maxi skirts. We all know skirts hold significant value to our people culturally and we wanted to bring this to our everyday life. I like to incorporate natural materials and heirloom designs into each piece. It’s important to me that my work maintains the value of our culture. This is why we don’t use plastic in any of our work. Another element that we are known for are our signature natural colors that reflect and compliment our natural environment. Most of all, I love the challenge of designing a contemporary perspective on our traditional designs. The vibrant, artistic tradition of our people! I began beading as an adolescent and my love for incorporating beadwork into fashion developed along with my experience. I began participating in juried art shows around the United States and Canada in 2005. Competing was something I used to push my creative limits. I founded Niio Perkins Designs in 2013. That’s when my mother, Elizabeth Perkins, and I opened a retail shop in Akwesasne where we both produce and sell our work. 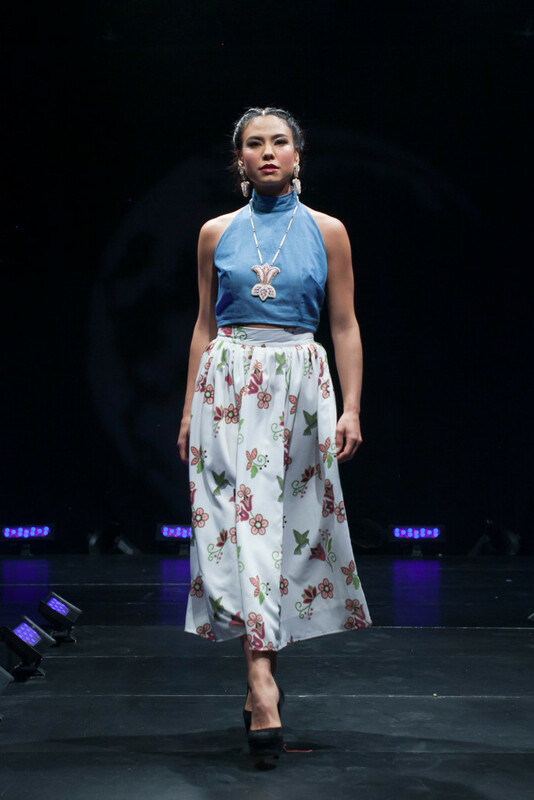 Events like these are critical to representing our Haudenosaunee people in the art of high fashion. Events like IFWTO provide recognition of an artist’s work and vision, while simultaneously honoring the resiliency of our people.